The healing properties of the mineral waters of this city were already appreciated by the Etruscans and Romans, who had occupied the area by building a major population Center. The presence in this territory of numerous tombs suggests a settlement, maybe more than one, revolving around the city of Chiusi. If Closed, however, has reached the period of greatest splendour in the 5th century BC, in chiancianese are rich remnants of the bronze and Iron ages. Among these, worthy of note is the eneolithic settlement of Chiarentana, on the slopes of Mount Cetona, where were discovered the fondamenda of some huts with ceramic and Obsidian materials remains. 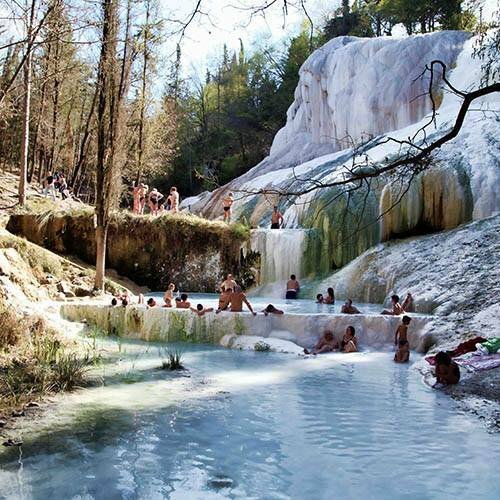 Chianciano Terme is one of the most famous spa resorts of Italy. Particularly fortunate position, between Val d’Orcia with its crete (since 2004 UNESCO World Heritage) and the fertile Valdichiana. Had in the period 1915–1920 rapid development with the construction of an aqueduct, a plant for bottling and the renovation of the establishment of holy water. This development continued after the second world war with the transformation of the spas and the increase of facilities.